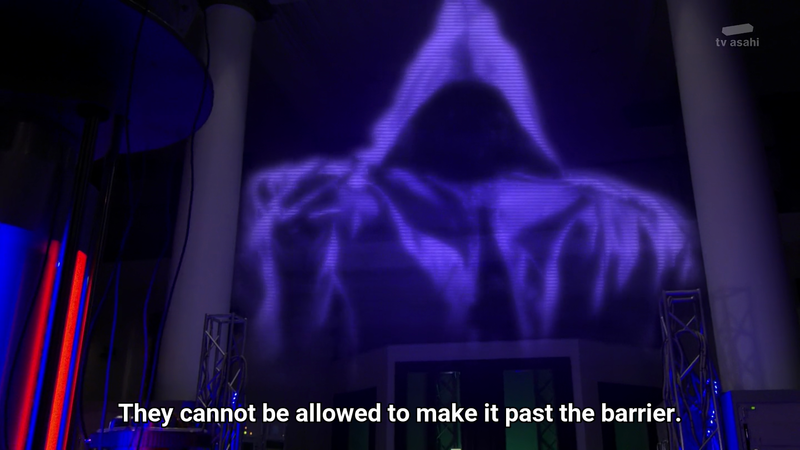 Kyuranger 38: Are We Playing Takeshi's Castle In Another Planet? 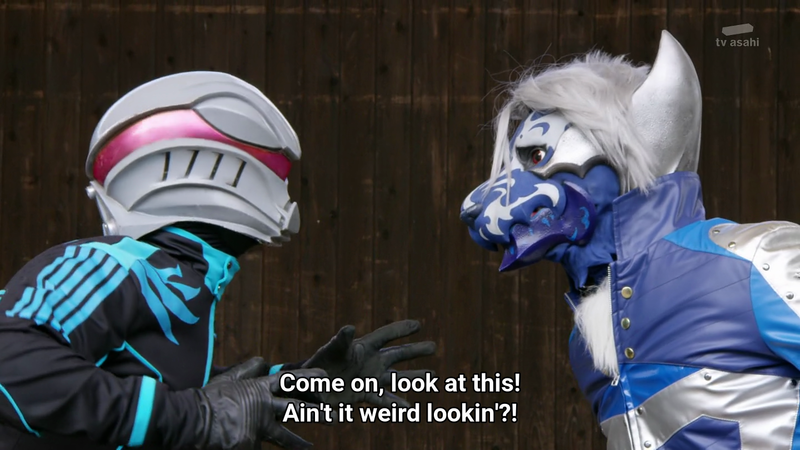 This episode is sort of a fun clip show while it does make me go WTF again. 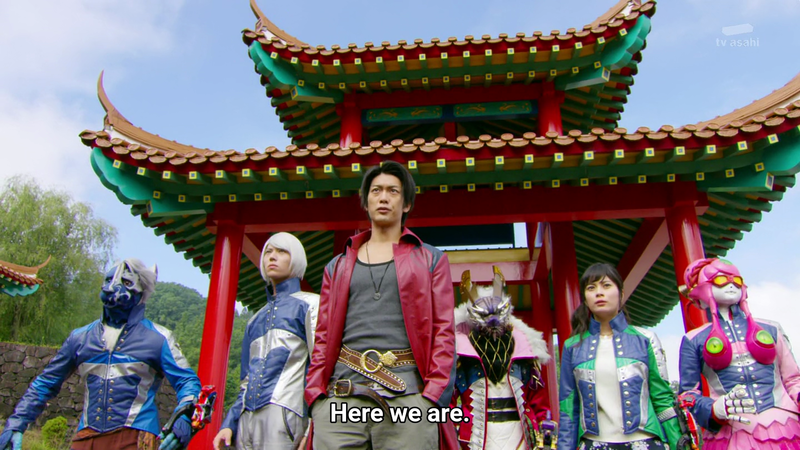 Considering much could happen in 300 years since Tsurugi Ootori was asleep it's possible some planets are now occupied by other nationalities. Heck, who knows maybe Lucky's planet is occupied by Europeans and this new planet Atchaark may be occupied by the Chinese. 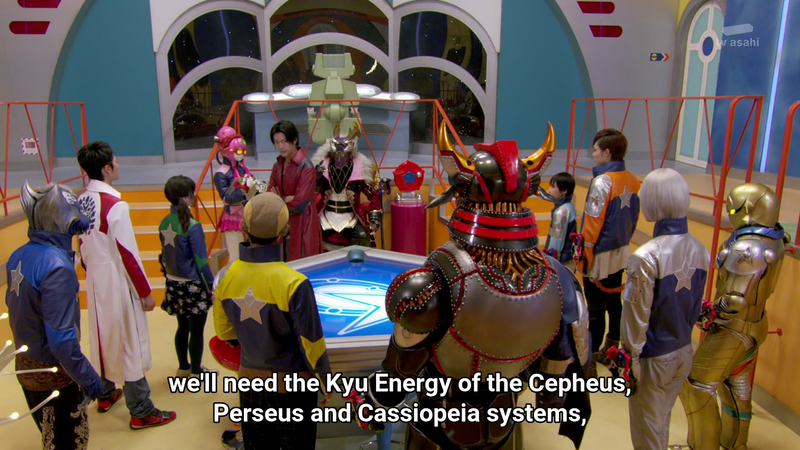 We learn that to break the shield, they need three new energy sources. 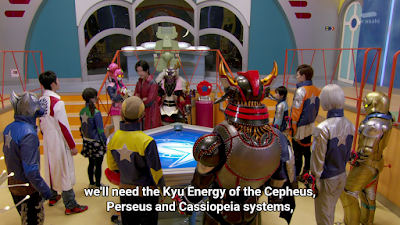 The first will be from the Cepheus system, the Perseus system and the Cassiopeia system. Speaking of which, weren't Cepheus and Cassiopeia the names of the parents of Andromeda? Perseus is also the legendary hero who is the son of Zeus and Danae. The planet they land in is nothing like ancient Greece. Instead, it's CHINA. 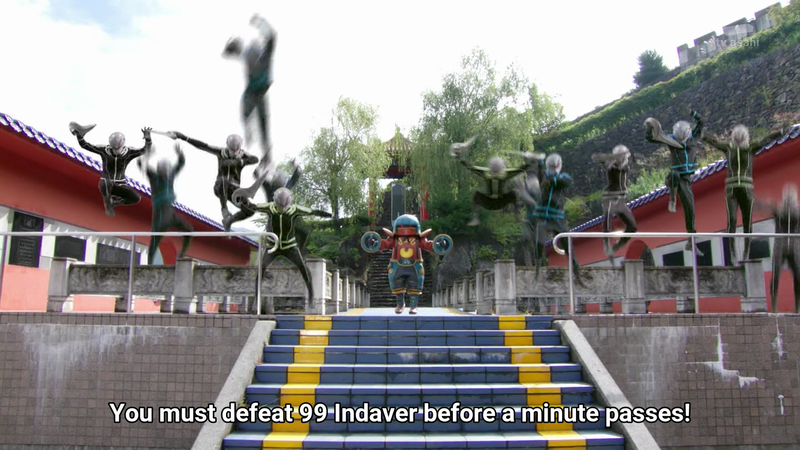 This also brings back some memories from Tsurugi's past battles. Don Armage is getting desperate since his main consciousness or whatever is hidden somewhere. 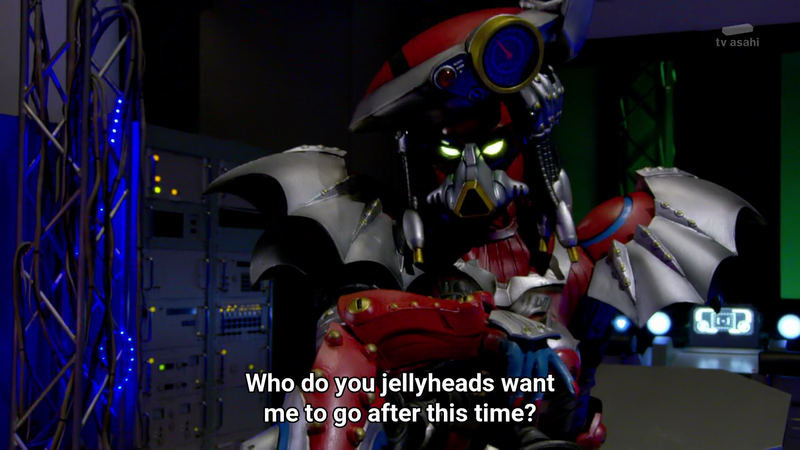 We also see Madako getting rebuilt as a cyborg. So where did they even find her body parts to rebuild is beyond me. I guess there's always a lot of science fiction that will always remain science fiction. Later, Lucky together with the others not involved with the trial face the newly modified Madako in the Perseus System. The monster Death gong does well... a gong. I think it's a funny game. Okay, let the Galactic Games begin. It would be time to play the game show with nine absurd trials. I feel most of them are probably meant to entertain children. 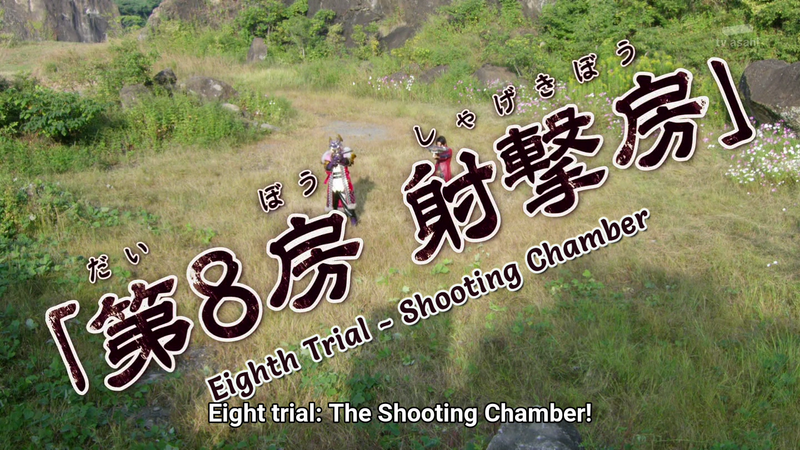 The first trial was more on bragging about new school CGI. 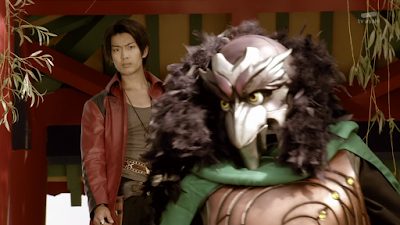 The second one is obvious fanservice with Tsurugi Ootori's abs. 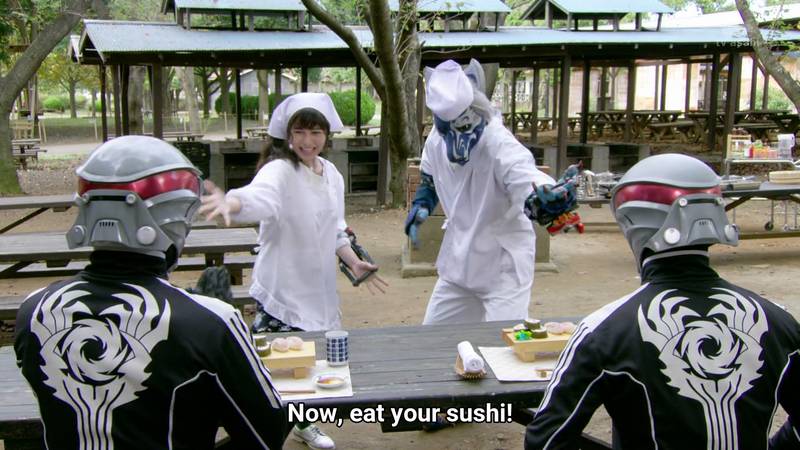 The third one is all about cooking so Kamen Rider Kabuto when you need him? 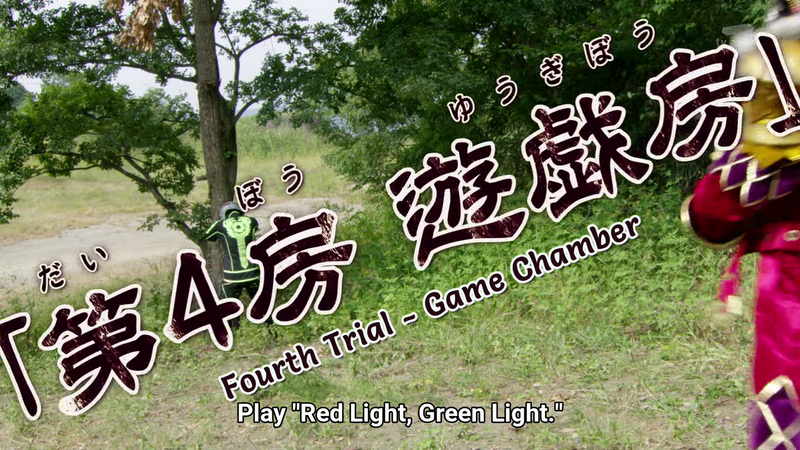 The fourth is Red Light, Green Light which is just FUNNY. There's the trial of dance, funny faces, resilience and shooting. It feels just like a game similar to that of Chou Super Hero Taisen's game world challenge. Granted, the Kyurangers did appear in that film so I guess they didn't mind doing it again. I think most of these were just distractions. Meanwhile, we learn more about Cuervas and Tsurugi from 300 years ago. So WTF how could Tsurugi still remember everything while he was in cryogenic sleep for freaking that long? It was 2017 and now it's 2317. Cuervas wanted to quit thinking he was too old which provides encouragement for Shou Ronpou. The next one shows a bit more of development for Shou Ronpou. Shou Ronpou discovers that they were fighting against a group of imposters. 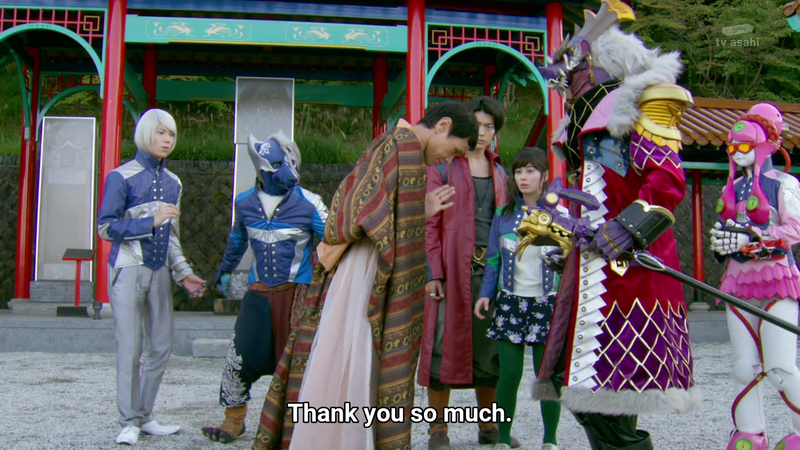 The heroes finally deal with Deathgong. 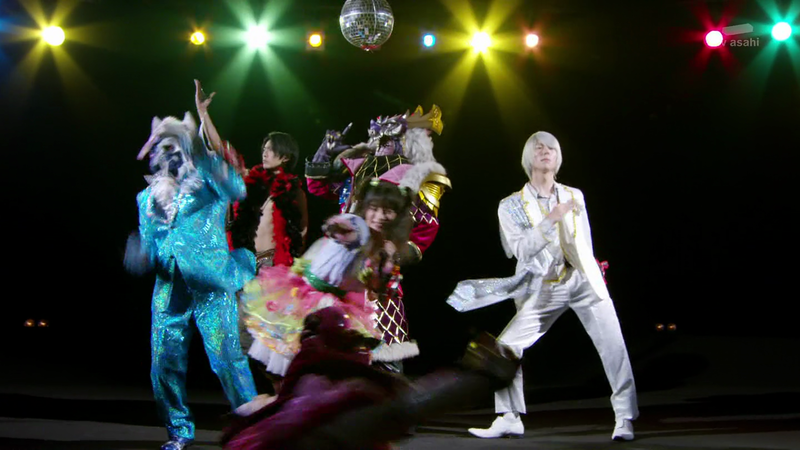 Shou Ronpou shows off his amazing moves in suit. Xulin Temple is later restored. Speaking of which, I have a feeling that the temple master here is someone from old school Toku. Can anybody tell me who he freaking is? I think he's a stuntman from the past. Next week, Professor Anton pops out and looks like he's a freaking cyborg. This may explain why Champ was hesitant to return in Space 34. Madako activated a switch that's making Champ go berserk. 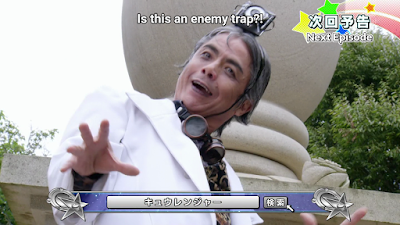 I wonder how will Professor Anton turn out as he's now introduced into the scene. Also, is it me or are Japanese really too much into MMORPG or what? 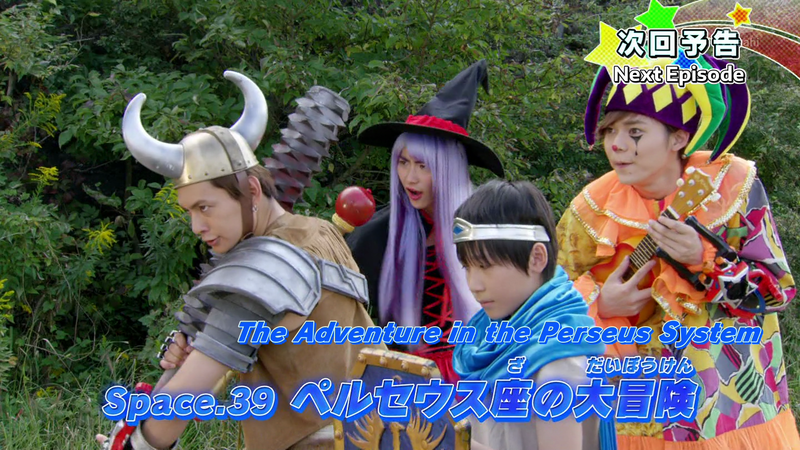 I'm reminded of that Ninninger episode where they did some RPG playing. This time, it doesn't look like it's just a normal game. We're probably going to get a bit more ham and danger at the same time. I can't wait to see this crazy MMOPRG episode! Hehehe! Thanks for dropping by. Anyway, ever noticed he made some cameo roles in the 90s. 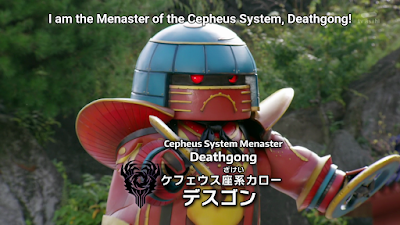 I think he also appeared in Winspector as a thug.